How can a damaged windscreen be repaired? Quality difference between original and after market windscreen? Over the years, the British car brand Bentley has become one of the most luxurious car brands on the market. Choosing to buy a Bentley is therefore choosing a beautiful car that will give you a lot of fun. However, an accident lurks in a small corner. These cars are therefore also absolutely not immune from damage, for example as a result of rubble. When it occurs on the windscreen of your Bentley, you will notice that an asterisk, chip or crack appears at the point where the stone has hit the windscreen. This is because a windscreen is made of laminated glass compared to other car windows. Despite the fact that the windscreen will not splash into countless pieces, you'll prefer to have all of this damage remedied as quickly as possible. 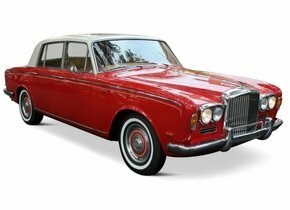 Are you looking for windscreen replacement options for your Bentley? In that case, we offer you by far the most interesting solution in this article!
. A dark page in the past of this car brand took place in 1931. After the takeover of Bentley by Rolls Royce, it was decided to stop production for a period of two years. 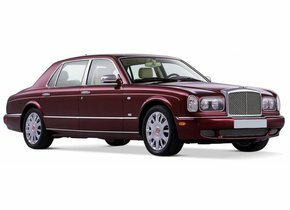 Since 1998 Bentley has been a member of the Volkswagen Group since 1998, just like Audi and of course Volkswagen itself. Despite the fact that a Bentley car is known for its excellent quality, it can of course happen that damage to the windscreen is caused by rubble. Replacing a windscreen for your Bentley doesn't have to be so expensive, contrary to what is often thought not to be so expensive at all. Replacing your Bentley windscreen with after-market automotive glass, for example, ensures that you can count on exactly the same quality as original automotive glass, but at a much lower price tag. A damaged windscreen at Bentley can be solved in this way without having to take a big bite out of your budget. The lower costs associated with the purchase of an after-market windscreen naturally also frown the eyebrows of many people. Is the lower price not a difference in quality? Absolutely not! A windscreen replacement of the Bentley with after-market automotive glass is done without any loss of quality. We know this for sure, because when we look at the production process of both types of car windows in detail, we can see that they are very similar. Not only is the factory the same in which they are produced, but also the production process. In this way, there really cannot be any difference in quality. 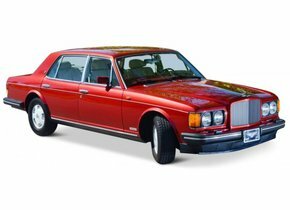 The only real tangible difference can therefore be found in the fact that original Bentley automotive glass have a brand logo and that this does not apply to the after-market variants. Obviously, the presence or absence of this logo does not cause any difference in quality. When a windscreen replacement of a Bentley is used, there are many frustrations among owners of such a car. They often have to wait a very long time before they can get back on the road with their familiar car. Autoglas Concurrent considers it important that the windscreen replacement of your Bentley always happens in a qualitative, but also extremely efficient way. For this reason, we choose to outsource the windscreen replacement of a Bentley to one of our certified partners. This expert has an outstanding experience in the installation of a new Bentley windscreen so that you can always count on the best possible end result, while you can go back to the road with your car after just a few days. Also replace the windscreen of your Bentley? Then don't look any further and discover how we can be of service to you from Autoglas Concurrent!